What does the future of organic look like? 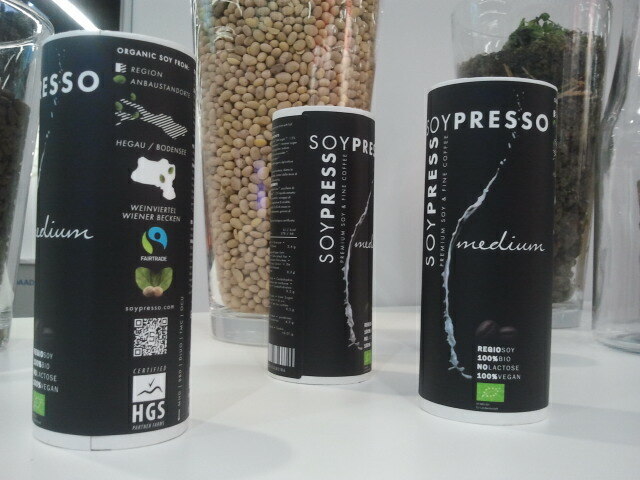 I had a look at BIOFACH to see a glimpse of the immediate future. The BIOFACH in Nuremberg is the world leading trade show in organic food products, with currently around 2200 exhibitors and over 40.000 professional visitors per year. A current development in organic that was also clearly visible on the show is the “vegan overtake” of the organic discourse. Vegan products, producers and brands are regaining a stronger visibility among exhibitors, vegan has become an own price category in the “Best New Product Awards”. Also raw food and power food are sailing in with the ships of veganism and healthism. Meanwhile, it is also clear that most organic farmers (especially bio-dynamic) see keeping animals as the only way to have an holistic organic agriculture. So next to the vegan trend products, the organic produce (also for vegan products, by the way) will still depend on farms that integrate animals, may it only be for the purpose of fertilization, or the bees pollinating the flowers. The BIOFACH fair, which celebrated it’s 25th anniversary this year, has reduced size a bit compared to the last years, and concentrates stronger on it’s core business: being a business to business fair for organic food. It has built in several theme areas such as cheese and fish, and also the conference program had a strong focus on food topics this year. There is a growing offer of younger, stylish products on the fair. Products that have a slick design and often distance themselves from the typical organic product design. This counts especially for products like power foods, sauces and drinks. 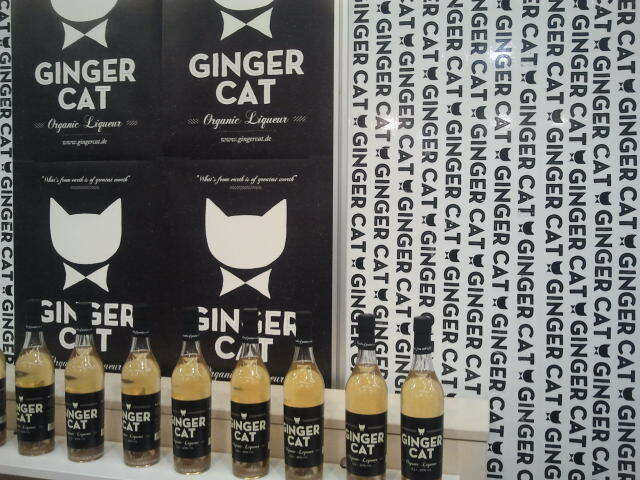 Young pioneers bring new drinks on the market, from ginger liquors to coconut drinks. Organic and other new drinks (Bionade, Lemonade) are already revolutionizing the lemonade market in Germany and might be able to do so in other countries as well. While it’s nice to see some innovative newcomers in Nuremburg, many cool, organic startups do NOT exhibit at BIOFACH, and so other fair concepts like the Next Organic in Berlin are trying to fill this gap. For the BIOFACH it would be wise if they would give more space to this start up community and integrate it better in its fair concept, as the start-ups of today are the next generation of organic pioneers. 1. The clearer the quality profile of organic products, the greater the symbolic impact. 2. Organic should move away from concentrating exclusively on the product and towards even stronger orientation to the needs of the customers. 3. Besides service in the sense of providing a service, aspects such as the right design, sensible simplification and support through technical innovations in labeling and during shopping, cooking and preparation will play an ever-increasing role in future. 4. The holistic philosophy of organic agriculture must be continued for the whole product cycle in future. 5. The sharing concept brings dynamic to regional cooperations. This development promotes the use of synergies between rural and urban spaces and consumers are linked more closely with production and develop into prosumers (= consumer who becomes a producer at the same time). 6. Organic should rely on a soft health strategy instead of wearing itself out in the absurd competition for “healthy food” with “better nutritional value” against conventional or even adapted products (functional food). It is a matter of moving away from monocausal health promises and steering towards systemic contexts of general lifestyle, food and health. 7. A return to old varieties and their cultivation in organic agriculture must go hand in hand with intensive research in order to score by also proving the supposed health potential and not just with the culinary alternatives. 8. Consumers do not see organic products only as products. So opportunities and places should be created to perceive them in a comprehensive,cognitive and multisensory way and in communicative exchange with others. They then become part of their own complex self-image. While the results read more like advices for organic businesses then as actual insights in the trends of tomorrow, they hint towards a few key topics that are relevant for organic and sustainable companies today: (1) holistic approach (2) design (3) local (4) sharing (5) do it yourself. 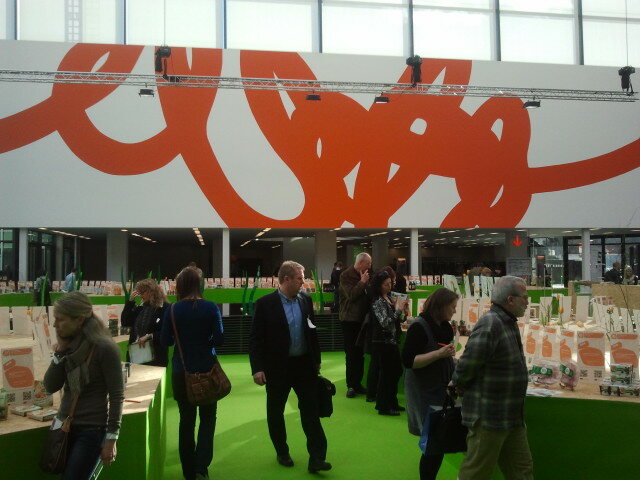 The renown Bloggertreffen was this time organized as a breakfast and also accompanied by a magazine. A nice initiative that hopefully will be continued. 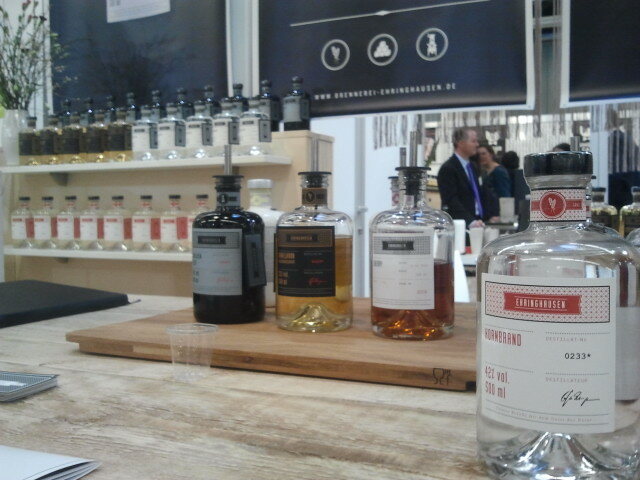 Next year, The Netherlands are partner country at BIOFACH, which should be reason enough for me to visit again. Stay tuned. Join the Non Toxic Revolution!